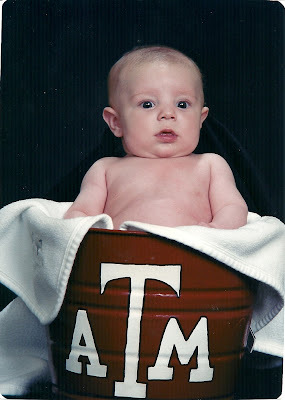 Not too long before our oldest son was born, my grandmother, "Grammy", gave us a Texas A&M metal bucket. 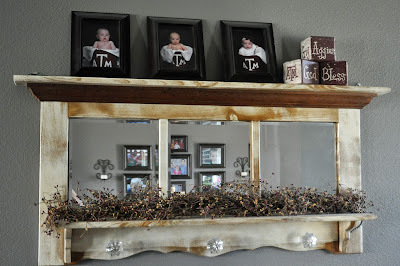 My husband, his brother, and their father all graduated from Texas A&M so you know the Aggie Spirit is thick in our house. :) My mom and I took it to a photo shoot when my son was almost 3 months old. 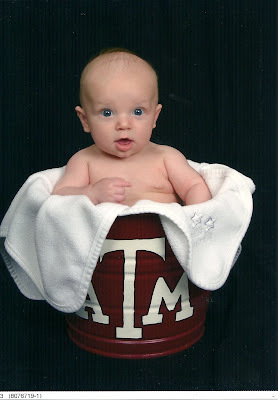 It was really hard to get him to sit up straight in the bucket. If you look closely you can see a black sheet in the background. That is actually my hand under the black sheet, holding him up. He really wasn't crazy about the idea but he decided to tolerate it. Those blue eyes still get me. She was a bit older than the boys when we had the picture taken. 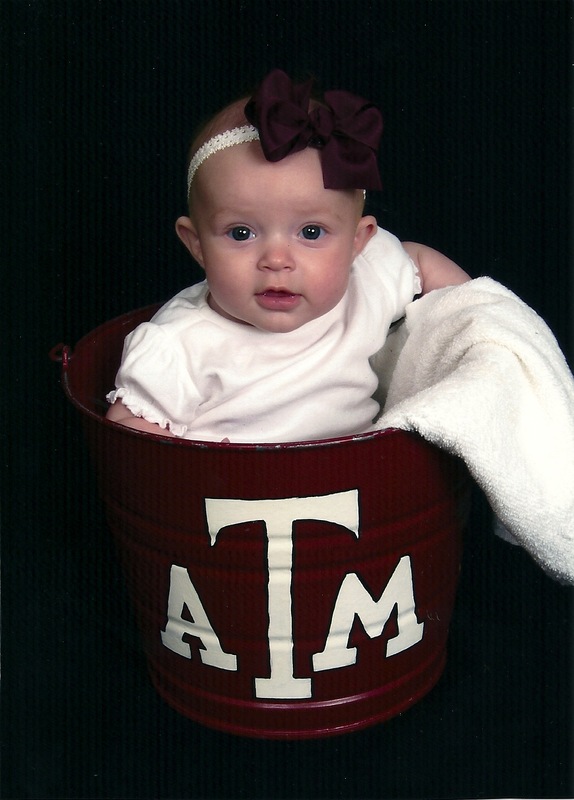 She cooperated but had a complete melt down when we took pictures in a different outfit. I remember sweating and being way over heated as I wrestled her into a new outfit. 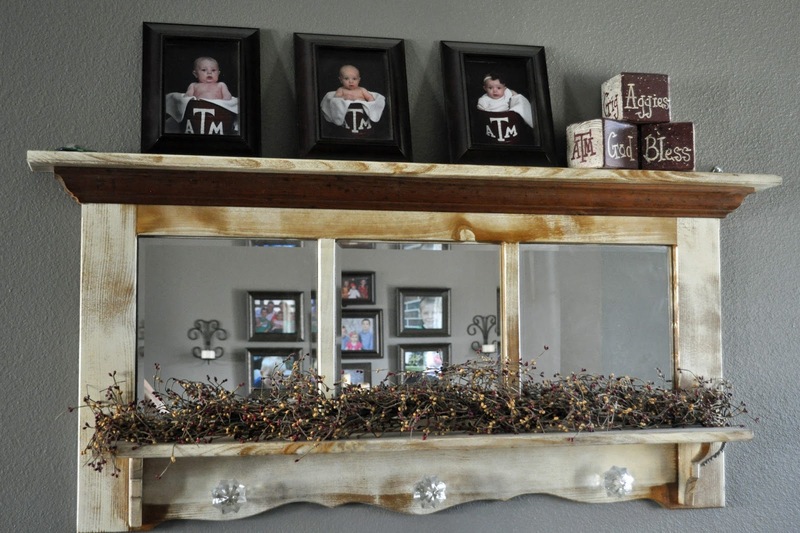 :) You know, moms will do just about anything for a good picture!